Naila Hassan is currently working as an Early Childhood Counsellor at NSW STARTTS, providing clinical intervention for children between 0-6 years who have experienced war and violence. She has previously worked in the Montessori education program with children from 18months to 6 years of age, particularly using the kinaesthetic learning modality. Naila holds a Bachelor’s degree in Counselling and Human change, a Postgraduate Diploma in Counselling and Psychotherapy, and a Masters in Counselling and Psychotherapy. Her therapeutic approach is informed by a range of modalities including Play therapy, Parent-Child Interaction Therapy, Systemic constellations and Mindful meditation which she employs in supporting children with complex trauma. 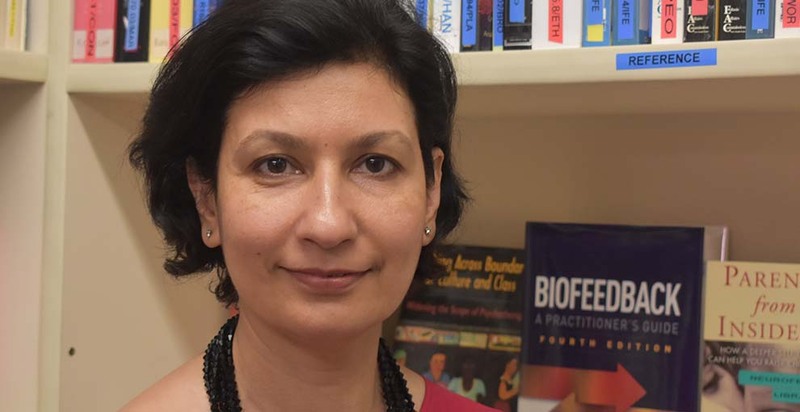 Naila has particular interests in attachment dynamics, the impact of trauma in the perinatal period, and the effects on early brain development as they apply to children with a traumatic background and their caregivers.